Is your company or school or group of friends looking to spend a day bonding in the outdoors and at the same time, have a good work-out, learn a new skill in the sea and go back to the office understanding one another better? We cater to small group of up to 20 persons of Team-Building activities. Here're 3 Reasons Why most Team Building activities in the market are crap! 1) Most commercial team building activities pit co-workers against one another in the form of competition via tele-matches, mini competitions etc. This is a complete waste of time. Companies want employees to WORK BETTER TOGETHER, share knowledge & achieve success as a team and hence, by sending them on training that pit them against one another is not achieving the desired outcome. 2) Competition does not create a sense of Success...unless you're the winner! This means that those who did not win would not benefit from this activity and instead, go away feeling he's "not good enough". This form of "competition" is not ideal for departments or teams of employees whom the company want to have them to work BETTER together. 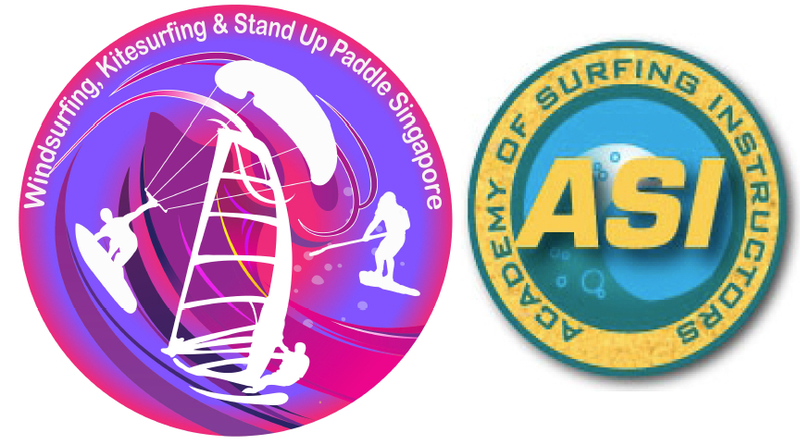 Here're 7 Reasons Why Stand Up Paddling is Ideal for your Corporate Team Building Events? 1) Participants have common clear goals in what they want to achieve as individuals as well as collective team. In so doing, they would encourage one another to keep trying again even when they fall. Despite it being an individual activity, trying to achieve the same goals bond everyone together in their journey of trying! Every single person will feel good about trying, achieving the goals and being happy with their co-workers' successes as well. 2) The sea is an unfamiliar ground for most people and yet the natural ability of the sea calming one's senses is widely known. Being in the sea makes one more relaxed and forget he/she has a stressful job or problems at home etc. The sea rejuvenates one's soul and body. Your participants will enjoy the bonding just by being in the ocean together and basking in the sun! 3) Majority of employees are not doing enough physical exercise, or worse, non-swimmers. How much better to kill 2 birds with 1 stone by incorporating Paddleboarding into your team building activity? We guarantee that everyone will have a wonderful workout for the body as well as the soul. We provide Life-vests to non-swimmers. 4) We do customise activities for your corporate teams such as Beach Fitness, Beach Yoga, Stand Up Paddling, Kayaking and Windsurfing. Be Radical! 6) Stand out from others...by "Stand Up Paddling"! We have hosted Dell, SAF, Women's Leadership Summit, Teva Media Launch, Siemens, MOH and many other companies. Our Team-Building Activities can be catered to help you achieve your goals. Whether your goal is to imbue team building elements, up the competitive streak in each employee, inspire High Achieving traits, build leadership skills, acquire positive learning attitudes in a changing world, EQ and a sharp mind to meet the rapidly changing demands of the real world, SUP is one of the best ways to achieve these! These are great for Schools or groups of friends as well. For Full-Day Team-Building programmes, we can include Kayaking, Hobie Sailing (Hand+Leg Paddling), AquaGlide Bouncers & Runway as well as SUP Eco-Tours with a lunch at the Kelong. We can customise any way you want it.